Trails and Influences: Touchstones. Case #4/52. Trails and Influences: Electronic Ether. Case # to be confirmed. 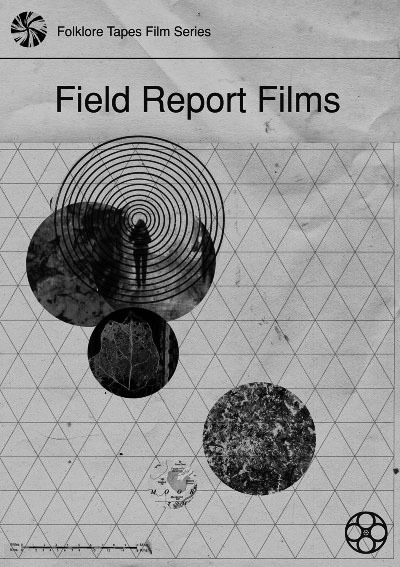 Now, if you want a lesson in how to create an intriguing, secret world unto itself then here would be a good place to start. 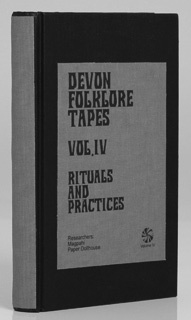 Originally monikered Devon Folklore Tapes, this could be called a record label but how it has been created and presented to the world it feels more akin to an arcane research project. 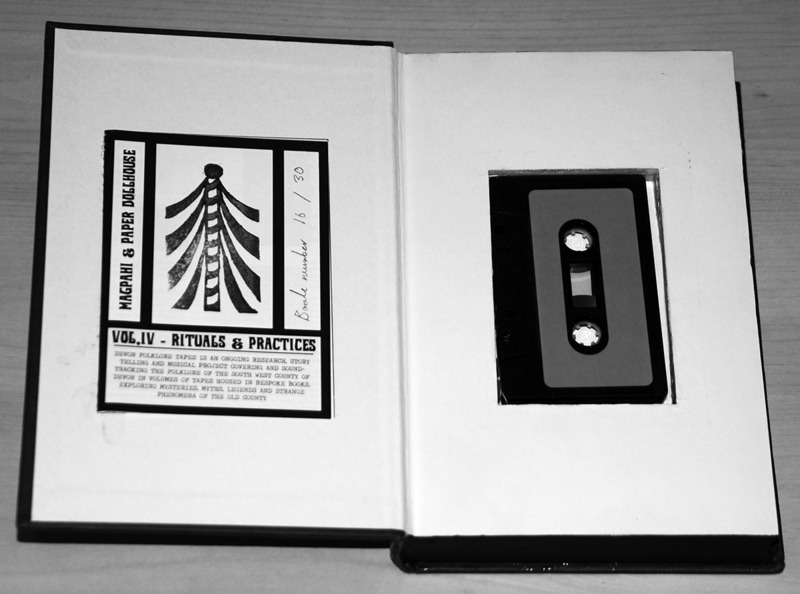 The mainstay of it’s releases are especially commissioned music projects/soundtracks (again I feel that research project would be more appropriate), generally presented on good old ferrous compact tapes which are housed in adapted, hollowed out hardback books which were very limited in quantity (ie 30 copies and once they were gone they were gone). Hens teeth is a phrase that comes to mind. Now, generally they also come with a download code and there are often simpler packaged copies of the tapes also available… but when they are released there is generally a feeding frenzy and whoosh they’re gone (something I often find out about just after the fact so that I can hear myself say “Darned, not again”). 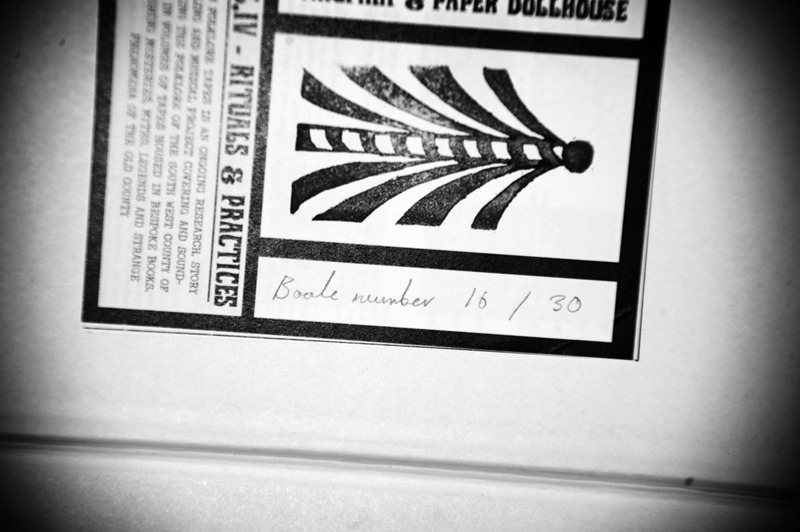 The collaborators/creators of the series have included Rob St John, Children Of Alice (part of Broadcast), Anworth Kirk and David Orphan… though my favourite volume is number IV which features Finders Keepers cohorts Magpahi and Paper Dollhouse: the Magpahi side is all… well, I don’t know quite how you would put it but I think haunting folkloric vocals and quite an interesting pop sensibility while Paper Dollhouse wanders off into early morning free floating word association. …which I think is the first place I heard any of the music and it just stuck in my head and I seemed to have to own it (a fair few possibly nolonger wanted items were flung on the pyrrhic reselling market in order to purchase a copy if memory serves me right). Place where you can see that the tape you wanted is sold out. Place where you can see if you can afford a previous volume. Mr Chatton-Barker’s site and design work.